This past weekend marks one year since I moved to Colorado, and as always when you're busy and things change, time seems to fly by without you ever realizing it. But sitting back now thinking back over the past year, looking back through the photos I've made, it seems like such a long time ago. I wanted to put together a collection and story of some of my favorite memories of this year past. I don't know what it is about camping that makes me so happy. Well I do, its the basic simplicity, the nature, the implied adventure, the relaxation, and the ability to drive less than an hour and be off the grid and be away, and be a human again. I realize I am incredibly lucky to be able to do this, and I never take it for granted. Never enough time spent under the stars, but there is still time left yet. Its one of those things that doesn't sound like it will be fun to most people until you do it. 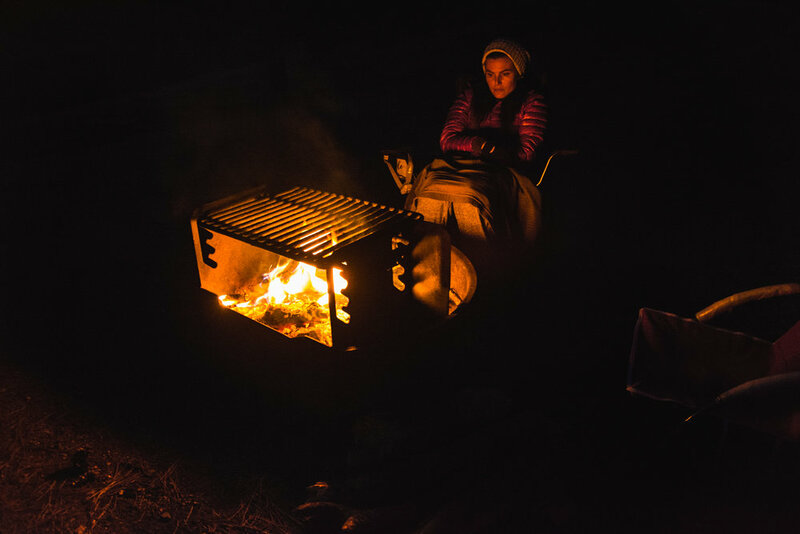 The majority of the time is spent setting up the tent, cooking food, cleaning up after yourself and then just sitting down as it gets colder. But it makes perfect sense to me. It reminds me what I love most about the outdoors. The actual outdoors. The peaks are the playground. And what a playground I have on my doorstep. The towering Rocky Mountains, the concentration of high quality, high reaching summits. My main joy in life now is pushing myself to pass limits I thought my body wouldn't be able to achieve, and hiking and climbing these Peaks is the most wonderful way to do it. Although at the time I'd probably heavily disagree with you, and most people might think it preposterous. Its the fun you have to work for. Type 2 fun; you don't remember the hard parts after, only the good. A sport I have been passively interested in and partaking in for many years has now become one of my obsessions over these past years I've been coming to Colorado, and has intensified into a fixation I can hardly shake now I live here. Climbing has grabbed hold of me and has driven into my psyche like a beautiful parasite. I would not change it. I have met some people who I am truly friends with, people who share my outlook on life, who have made me feel welcome and comfortable. All thanks to an sport of find the most difficult way up and arbitrary piece of rock. A sport that lets you truly appreciate the outdoors in a different way. Climbing up a cliff, or a boulder in a location where not many other people are, gaining a perspective or view of something that you couldn't get without climbing. To just hike and walk has to be one of life's most inanely pleasurable pursuits. Finding a trial-head and just walking down it for hours then looping or turning back to end back up where you started. It sounds pointless, maybe it is, but if I had to chose to be able to do one outdoor activity for the rest of my life, it'd be hiking. Anyone can do it, and everyone should. I've been lucky enough to go on some incredible hikes in some breathtaking places. I don't see that stopping anytime soon. Colorado has been good to me, changed me. This past year, and on a whole the past 4 of my life, slowly ebbing towards the inevitable move here has taught me so much about who am I and what I enjoy. Its funny how things work out. MAybe one day I'll get bored of Colorado... Although, right now, I' bet my life I won't.